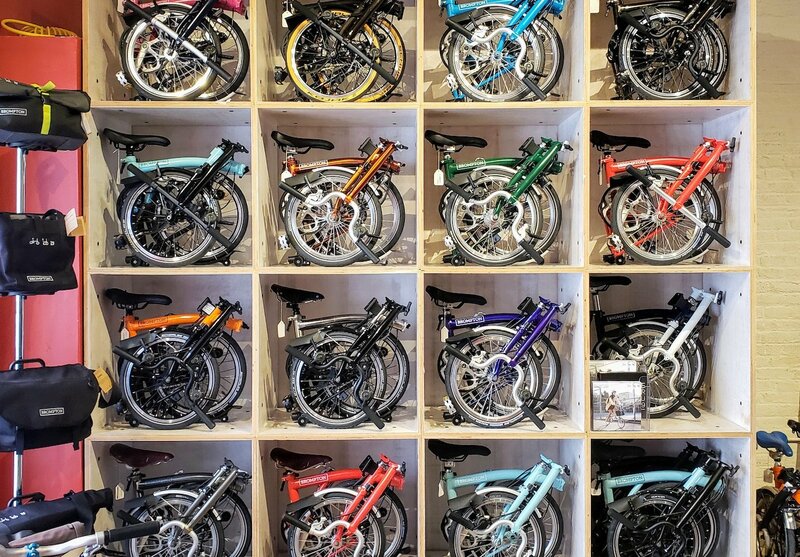 We have one of the largest selections of Bromptons in the country: different bars, gearing set-ups, and of course, colors. Please check out our Brompton stock list below, updated weekly, and get in touch to arrange a free 24-hour demo, ask some questions, and/or reserve the bike of your dreams. If we don’t have the one you want, we’ll order it for you! One of our staff will be in touch within 24 hours. In the meantime, we encourage you to read more about our bike fit process.